Frank Hampson created ‘Dan Dare, Pilot of the Future’ in 1950, as the front page strip ‘that sold the Eagle’. In a short time it became phenomenally popular, with a million boys waiting expectantly each week for the next episode. Frank Hampson is widely regarded as the most important British comic strip artist of the post-war period and has an international reputation. This exhibition traces his development from his time as a young art student in Southport, through to his ground-breaking work on the Eagle comic and also includes later work, such as his iconic illustrations for Ladybird children’s books. 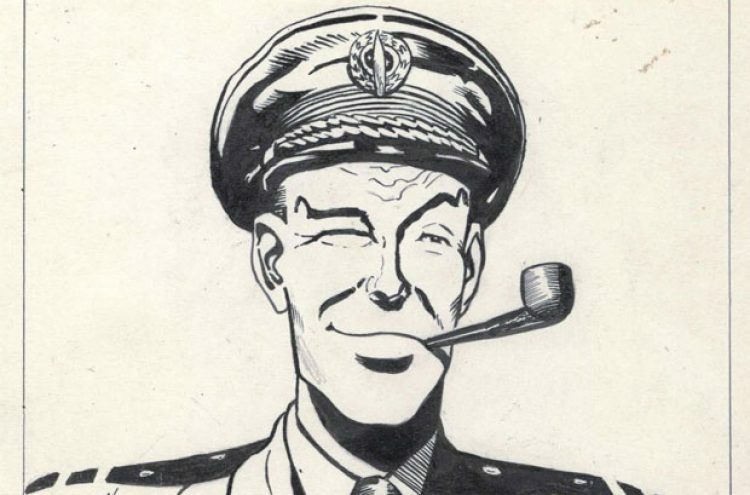 In addition to the feature about Dan Dare in the Museum, this exhibition features previously unseen artwork.